A historic moment or a proposal that would mean war? When it comes to Kosovo's putative territory swap with Serbia, it depends who you ask. "Border change may seem distasteful, but many regard it as a practical solution," says James Ker-Lindsay, a Balkans specialist at the London School of Economics. "If there were a consensual agreement between the two sides, it would open the way for a full normalisation of relations between Belgrade and Pristina and allow Kosovo finally to become a member of the United Nations." Paddy Ashdown oversaw the aftermath in Bosnia, as the international High Representative. He has co-authored an appeal to the European Union's foreign policy chief, Federica Mogherini, to stamp out any talk of a territory swap. 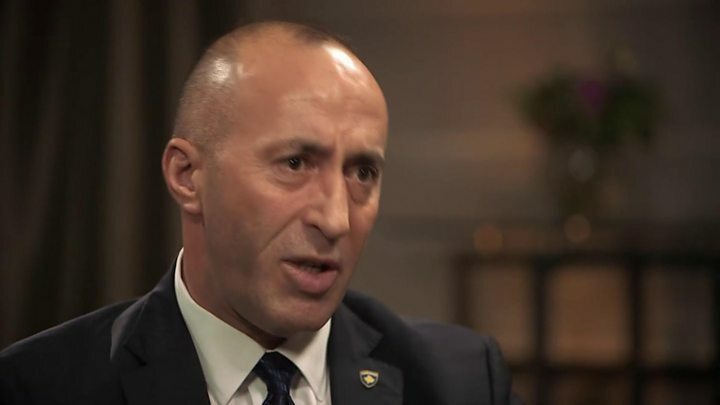 "Moving borders like this will not solve divisions, it will deepen them," said the letter, warning that nationalist politicians might use a territory swap to agitate for the break-up of Bosnia. "Sustainable peace can only come when we learn to live in multi-ethnic communities, rather than re-drawing borders to create mono-ethnic ones. [There is] no policy more likely to lead us back to division and conflict in the Balkans than the one which some are apparently now supporting." Ms Mogherini has a key role to play. She chairs the normalisation talks in Brussels between Serbia's President Aleksandar Vucic, and his opposite number from Kosovo, Hashim Thaci. "The time has come to put an end to that conflict," she said on Monday. "I am confident that presidents Vucic and Thaci will manage to achieve a binding legal agreement for the normalisation of relations and this agreement will comply with international law and it will help for the stability of the entire region." Ms Mogherini's predecessor, Cathy Ashton, initiated the normalisation talks. She told the BBC that both presidents were "trying to get to a conclusion" but that international approval would be the key to any deal. "The key to the solution will be how Brussels responds. They will look to Berlin and talk to Paris and others. In the end, it's about EU membership for both." Small wonder that the EU commissioner for enlargement, Johannes Hahn, has been talking about a "historic moment" for Serbia and Kosovo. A European diplomat told the BBC that the territory swap was "serious from the Serb side" but that a lack of unity in Pristina could be a problem. "Thaci has gone solo on this so far - he hasn't been making the arguments to get people on board. It could be a compelling proposition, but he needs to sell it." The United States has indicated that it would not stand in the way of any bilateral deal. The stance of Serbia's ally, Russia, is harder to gauge; President Vladimir Putin is due to visit Belgrade next month. Correction 20 September 2018: An earlier version of the map wrongly depicted the Medvedja area of Serbia and has been amended.